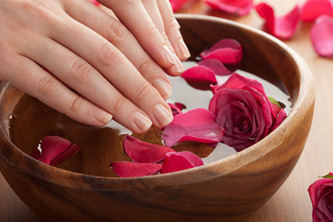 Warm soothing soak softens cuticles followed by a moisturizing and relaxing hand/arm massage and your choice of polish. Your feet will thank you! Warm Soothing sea salt soak with essentials oils, prepare your feet for a smoothing sugar exfoliation. Relax and enjoy a wonderful foot & leg massage. A deluxe twist of our classic manicure pampers your hand with gentle exfoliation to soften and renew your skin. Hands are enveloped in warm, steamy towels followed by a blissful hand/arm massage. Treat your feet to a luxurious version of our classic pedi enhanced with a cooling, hydrating mask of spearmint and eucalyptus. Next, heated mitts will feel heavenly on your feet before the ultimate foot and leg massage. 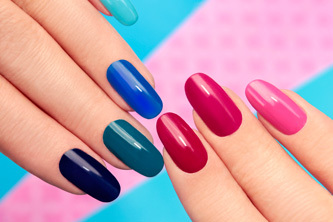 The perfect complement to natural nails, gel polish is long-wearing, shiny, and durable. 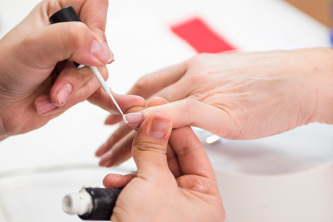 Nails shaping and cuticle care paired with no-chip gel polish equal beautiful nail for 2 weeks. Warm paraffin wax is a divine add-on to any manicure or pedicure. This hydrating treatment seals in moisture and leaves your skin remarkably soft. (12 & under) Precious hands are pampered to perfection with nail and cuticle care, followed by a soothing hand massage and polish. Little feet will love to soak in sea salt and essentials oils followed by a tickly sugar exfoliation. A moisturizing foot rub makes this a special treat.